Nothing says summer like a big scoop of delicious ice cream, the summer heat is still around and ice cream is always a perfect way to cool down at the end of the day. 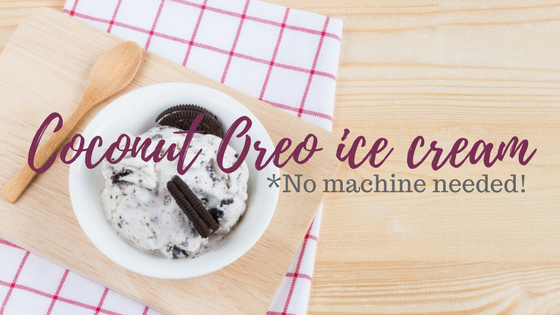 Today, we have a guest poster sharing one of her favorite recipes: Homemade Coconut Oreo Ice Cream, no machine required! 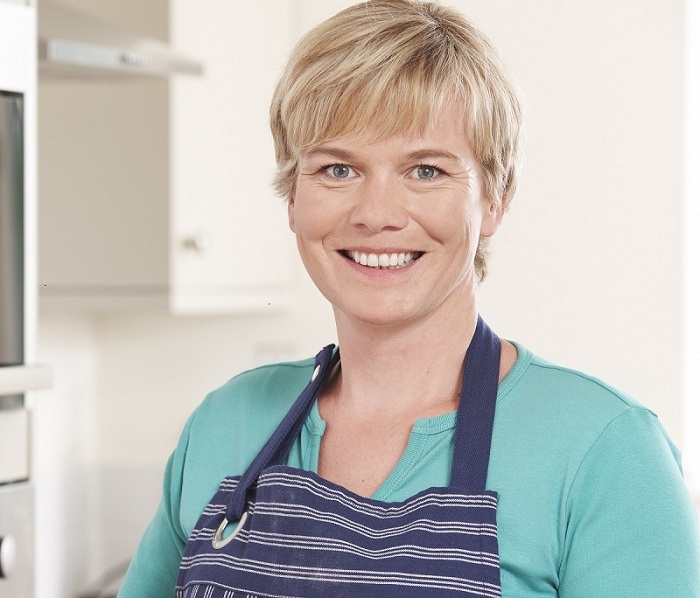 Save a lot of money by learning how to make your own ice cream. This coconut Oreo ice cream recipe is very simple to prepare but yields a very delicious dessert. With temperatures soaring to 100 degrees Fahrenheit, don’t you just wish you can easily grab a cup of ice cream to beat the heat? Of course, you can go to a nearby store and buy a tub of ice cream. But wouldn’t it be nice if you know how to make your own ice cream? There’s no denying that ice cream is one of the most popular desserts in the world.I think it is more popular than the French confectionery macarons and yes, even classic pudding. As a kid, it was one of the few things that could make me stop crying. Up to this day, I can’t get enough of this sweet treat. 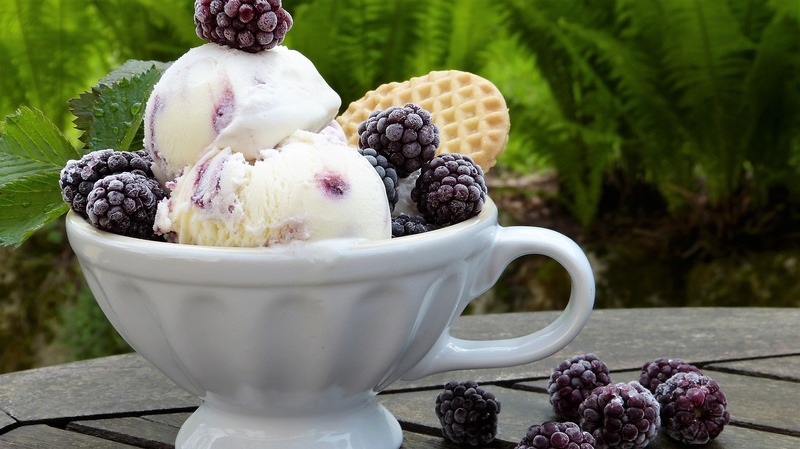 Did you know that ice cream goes all the way back to the ancient Greeks? In the 5th century BC, the ancient Greeks were said to have eaten snow mixed with fruit and honey. This is considered the precursor to the modern-day frozen delight we know as ice cream. In fact, Hippocrates (also known as the father of modern science) was said to have encouraged his patients to eat ice because it can increase well-being. The ancient Persians were also said to have enjoyed a treat that’s similar to ice cream. The chilled food consisted of rose water and vermicelli with flavors like saffron and fruits. It was served to kings and queens during the hot months. The ancient Chinese also had their version of the ice cream, a frozen mix of milk and rice that is said to have been in existence as early as 200 B.C. However, the earliest known written ice cream recipe was handwritten by Lady Anne Fanshawe in a recipe book published in 1665. It was flavored with orange flower and mace. Chocolate ice cream was first documented in a recipe book called The Modern Steward in 1692. The recipe was derived from hot chocolate mixed with spices such as chili pepper and cinnamon. To say that ice cream is popular worldwide would be a huge understatement. In fact, in the US alone, more than 1.5 billion gallons of ice cream were produced. The International Dairy Foods Association estimates that the average American consumes over 20 liters of ice cream annually. The ice cream industry in the US is so big that it creates close to 200,000 jobs across the country and nearly $40 billion to the economy. But the US is not the biggest consumer of ice cream in the world. People of New Zealand is said to be the biggest consumers of ice cream with a typical person there averaging more than 28 liters of ice cream annually. If you’re interested to find out how much ice cream is consumed in your country, you can check it here. There are many ways of making ice cream without the use of an ice cream maker. One way is to peel and slice bananas then freeze them for 2-3 hours. You’ll then blend the frozen bananas until it turns into ice cream. You can also pour heavy cream over a frozen fruit puree. The fruit immediately freezes the cream which gives you an instant ice cream. Let’s now go to the coconut Oreo ice cream recipe I learned from a friend. Take note that you can use any other cookie for this ice cream recipe; I just used Oreo cookies because I particularly love the brand. You can also use thickened cream in making homemade ice cream like coconut cream. But I used coconut milk because one, coconut is an excellent base for just about any recipe. Plus, it is fatty and thus enhances the texture of the ice cream. The cream will be easier firmed, you don’t need to worry that it’s melted easily. This is a recipe that I figure you’ll be able to finish in less than an hour. It can make 3 servings. Start by refrigerating the coconut milk overnight. When it’s cold, you will whip it up easier. Transfer the coconut milk to a bowl the following morning. Add powdered sugar and whip it for 4 minutes, or until it peaks form. Slowly combine the crushed cookies before transferring it to a freezer-safe bowl. Let it sit for overnight or at least 90 minutes. That’s it! 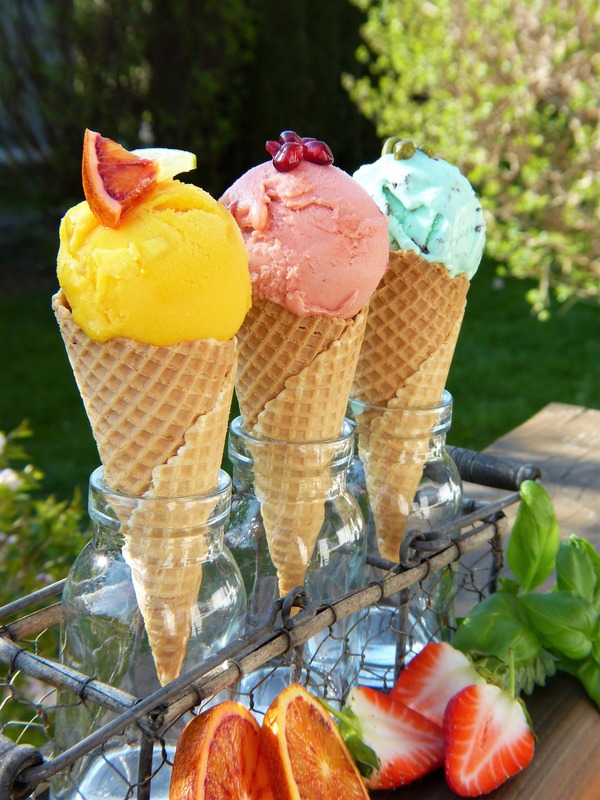 You now have a homemade ice cream that you can share with your friends and family members. Ice cream will always be a hit, especially during the summer months. Instead of buying ice cream, why don’t you make your own ice cream at home? Try the recipe that I shared with you and save a lot of money in the process. « 10 Reasons to Stay at Walt Disney World® Resort! I’ll take all of those ice creams please! We got an ice cream ball thing and the kids like using it to make their own. I need to try this way too. I could really go for some ice cream like this! I’m liking the coconut milk method. I’m going to have to give it a try! I love that this is dairy free. I love ice cream, but it doesn’t love me back. We keep coconut milk on staple, so I’ll have to try this! It looks delicious. I LOVE making our own ice cream! This sounds delicious, never thought to pair coconut with oreos! I am addicted to ice cream! I have to be so careful! LOL. It is my favorite treat. All of these look so good. This is the perfect summer treat! I have never made homemade ice cream before but this looks like a great recipe to try. Yum! This looks so delicious! We don’t have an ice cream maker so we will have to give this a try! um….yum!!!! My daughter was just asking me to make ice cream from scratch the other day and this looks easier than what she wanted . And a whole lot yummer!!! Oh how fun! I’ll have to try this with my boys. We sure love ice cream! Oh wow, I always thought you had to have an ice cream churn. I am so making some of this ice cream soon. what a great idea. I love this! 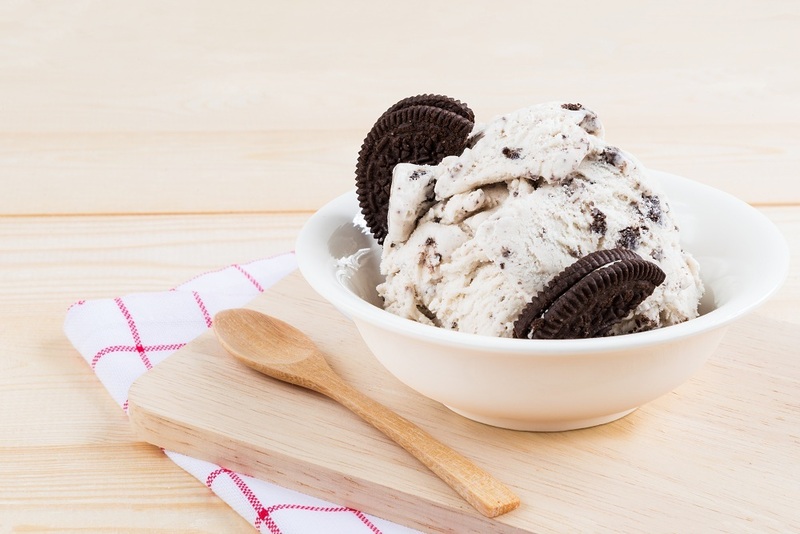 I could eat ice cream every day, and coconut and Oreo are two of my favorites! I love the idea of making this without an ice cream maker. Yum! I love that you used coconut milk for this recipe! I also don’t have an ice cream maker. This is a great recipe for me because it fits my needs. With the hot summer that we are having this is a perfect recipe. It looks and sounds super delicious! I love ice cream, but we don’t have an ice cream maker, so this post is both awesome and possibly a little dangerous for my waistline. I love all the fun historical facts, too. I had no idea ice cream had such a story to tell!